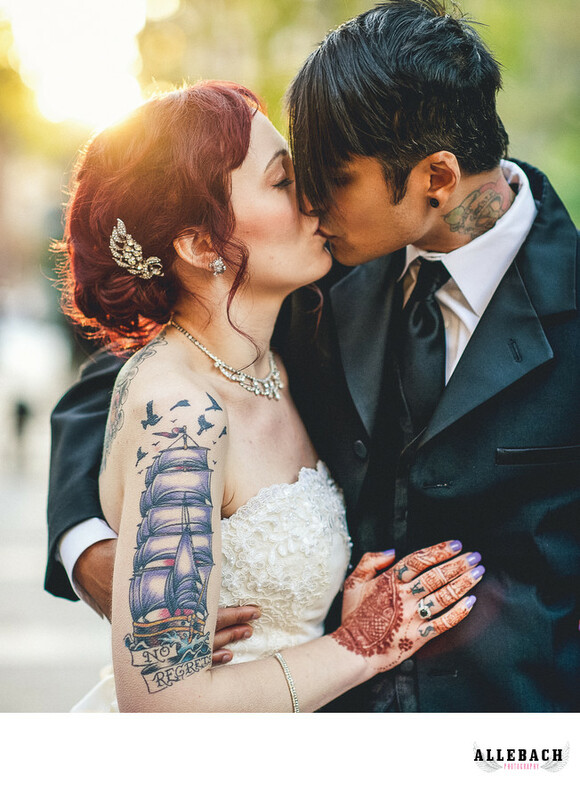 This tattooed couple kisses on their wedding day in beautiful Philadelphia. This photo was taken at Rittenhouse Square as the sun was setting in the distance. Allebach Photography specializes in tattooed bride and punk rock grooms. We are the number 1 tattooed bride photographer in the United States. Rock n Roll bride calls us "The Original Tattooed Bride Photographer" and Inked Magazine calls us "The Tattooed Wedding Photographer"